Product code: 1781 Categories: Sold Items, Sold Watches. The HW denotes “Hand Wound” and allows the owner to truly interact with the watch by winding it. 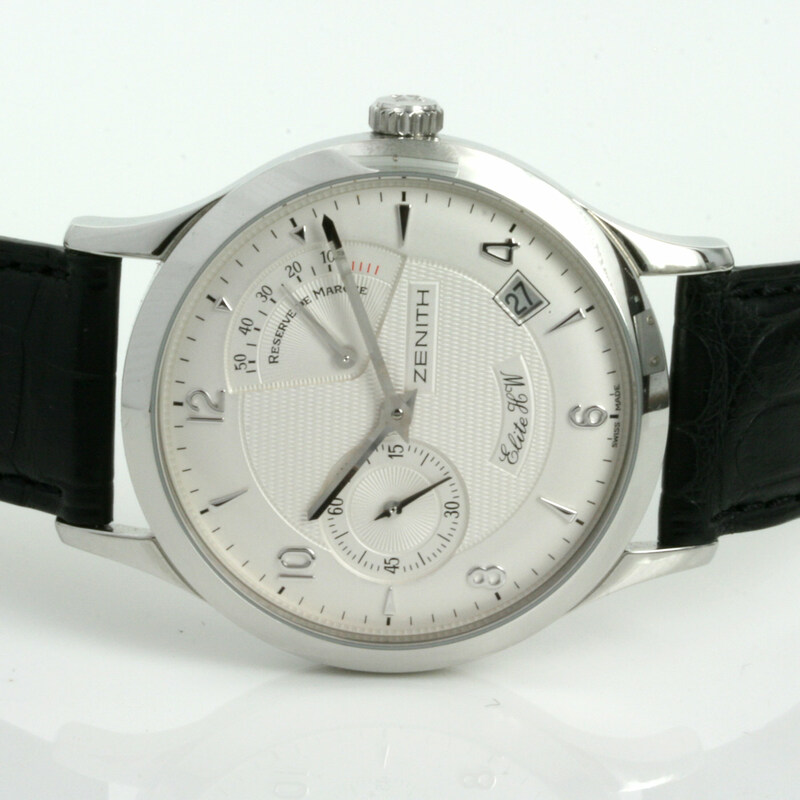 The dial of the Zenith Elite HW is just wonderful to admire as not only is the power reserve indicator elegant, so is the second indicator at 9 o’clock and the date at 4 o’clock as well as the combination of indicators and numerals on the dial.